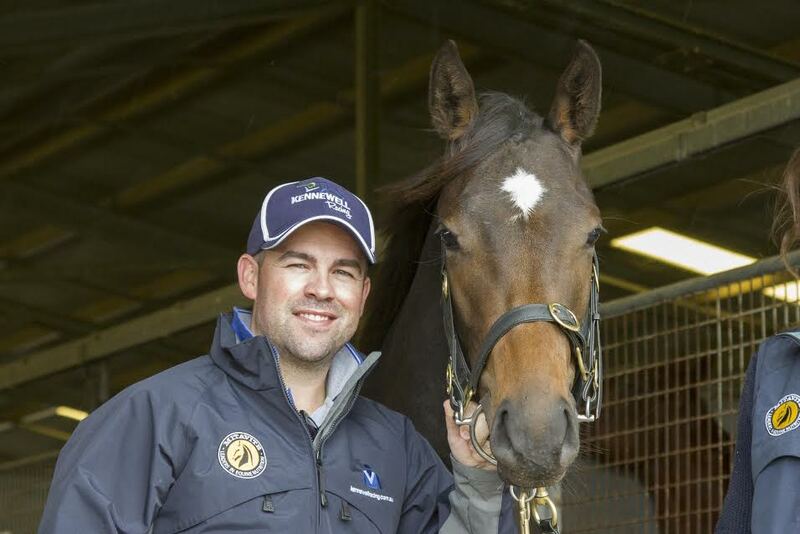 Late October we were able to put together a visit to several SA studs (Cornerstone Stud and Goldin Farms) and the McEvoy Mitchell training facility Kildalton Park. These three properties make up what was once the Lindsay Park complex of legendary trainer Colin Hayes based just out of Angaston. We arrived at Kildalton Park late morning and were greeted with morning tea. 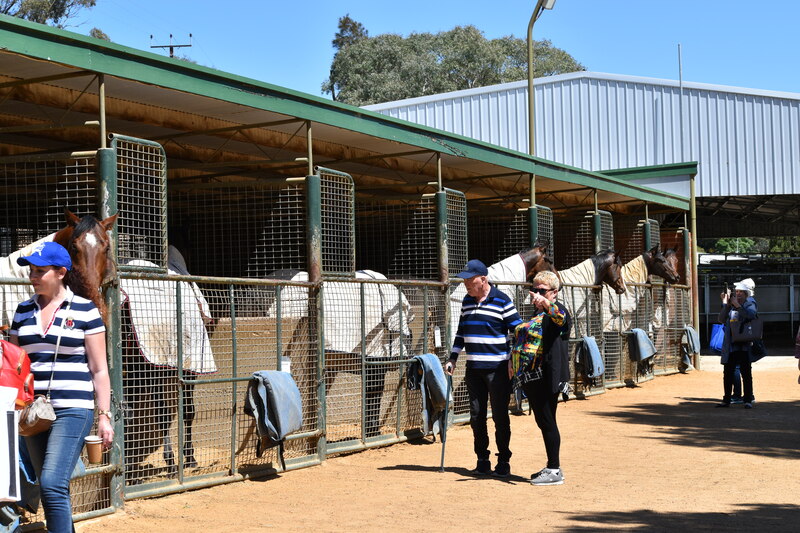 John Cornell showed us around the training and stabling facilities and we were able to get up close to a number of well-known stable stars. Matt Tillett and Calvin McEvoy then introduced us to three two year old fillies in which they had shares available. 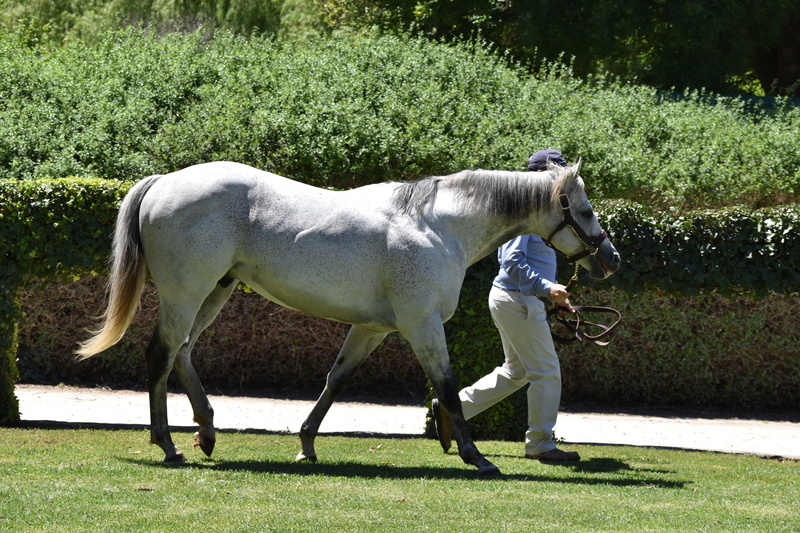 We then made our way to Cornerstone Stud where Ross Hatton hosted a parade all five of their stallions, Zebedee (pictured below), Ambidexter, Valentia, Sir Prancelot and Free Eagle. These stallions provide mares with a wealth of choice in terms of price, breeding and effective distances. It was amazing how well behaved the stallions were in quite close proximity to over forty people. 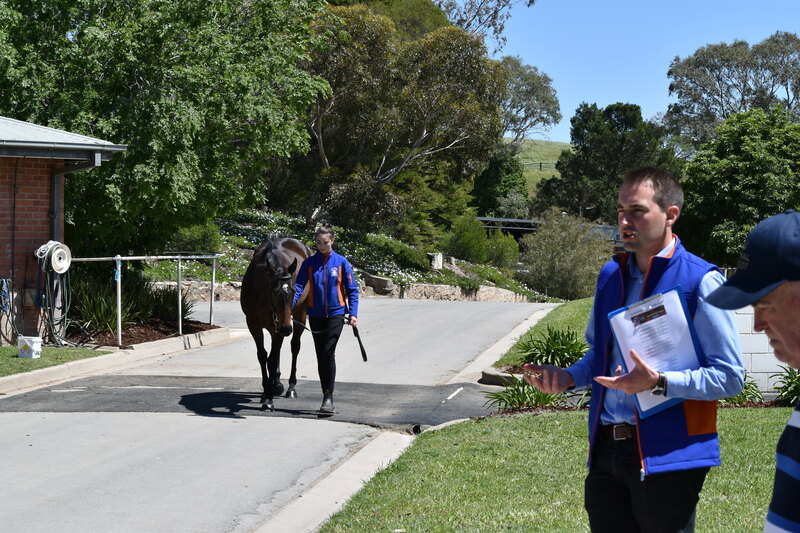 This gave our attendees the opportunity to view these quality thoroughbreds in lovely historic surrounds. Goldin Farms was our next stop and we were able to travel around the property on the bus weaving through the paddocks enabling us to see various stages of the breeding process. We were able to see relatively new born foals with their mothers, older foals, weanlings, yearlings and mares in foal. 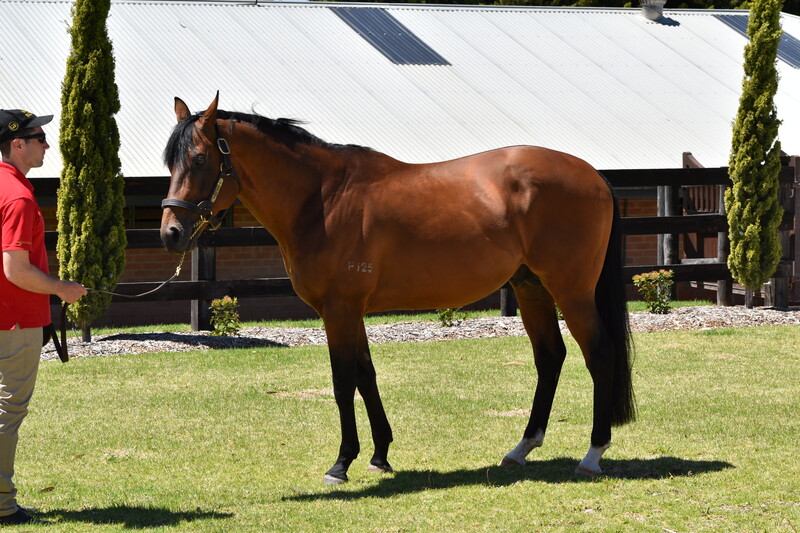 Our host at Goldin, Andrew Perryman then introduced us to their sire Akeed Mofeed who has an impressive international record particularly in Hong Kong and his progeny have shown great promise. It was a great day for all ending with a wonderful lunch at Vintner’s Bar and Grill. As most of you would be aware for many years SAROA has been involved with the Punter’s Club on Vision Australia Radio (5RPH) with a weekly segment in the program. Until recently we have featured MP3 audio from the show on our website, however this has been interuppted due to an update of the computer systems at Vision Australia Radio and these MP3’s have not been available for several months. More recently again, due to changes in programming at the station the Punter’s Club has been discontinued. 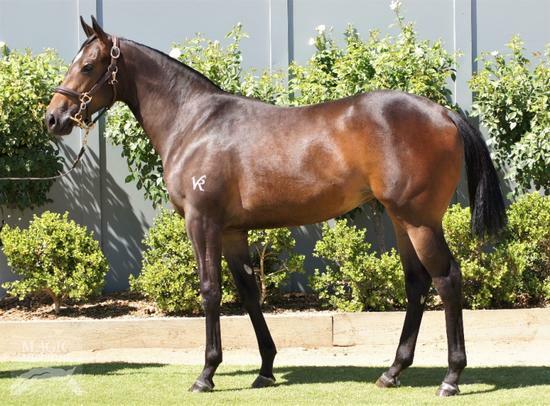 SAROA and the SA Thoroughbred Breeders have been in negotiation with the station for a return of our segments to a modified Punter’s Club but no real progress has been made at this stage. Vision Australia have some technical details with their recording system and we are unable to include audios of our radio segments for several weeks.